- Radierung, 1921, signiert und datiert. 12,4:15,9 cm. Katalog Niemann 1987, Nr. 28. &#150; Prachtvoller Druck auf gelblichem Bütten. Holtz studierte 1914-1919 bei E. Orlik (1870-1932) an der Berliner Kunstgewerbeschule. Anschließend war er als Pressezeichner tätig. 1934-1935 erhielt er wegen antinationalsozialistischer Karikaturen Berufsverbot. In dieser Zeit arbeitete er als Gebrauchsgraphiker. LOOS, Anita and EMERSON, John. New York; James A. McCann 1921. FIRST EDITION. Octavo, pp. 115. Illustrated with photographs. Publisher's hardcovers in scarce original dustwrapper. Light general wear, some chips to jacket plus a triangular loss to foot of upper. Very good. Her second, and most elusive book in wrapper.A fine early document of the motion picture industry, from the authors of 'How to Write Photoplays'. Loos would later find fame as author of 'Gentlemen Prefer Blondes'. Keene, NH: Self-Published, 1921. First Edition . Hardcover. Very Good. Size=6.5"x9.5. Frontis, Maps & Photos. 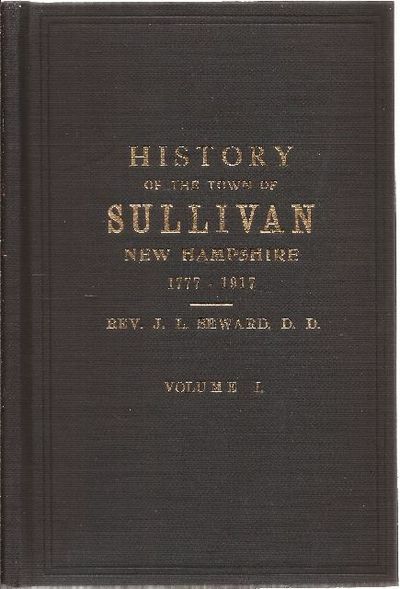 (full book description) Self-Published, Keene, NH, 1921. 1st Edition VG+, Hard Cover, No Dust Jacket. Size=6.5"x9.5", 1619pgs(Index). Frontis, Maps & Photos. 2 Volumes Complete. Black cloth, gold gilt front cover & spine letters. Owner name, address? whited out on front free endpapers of both volumes, endpapers lightly tanned, o.w. clean, bright & tight. 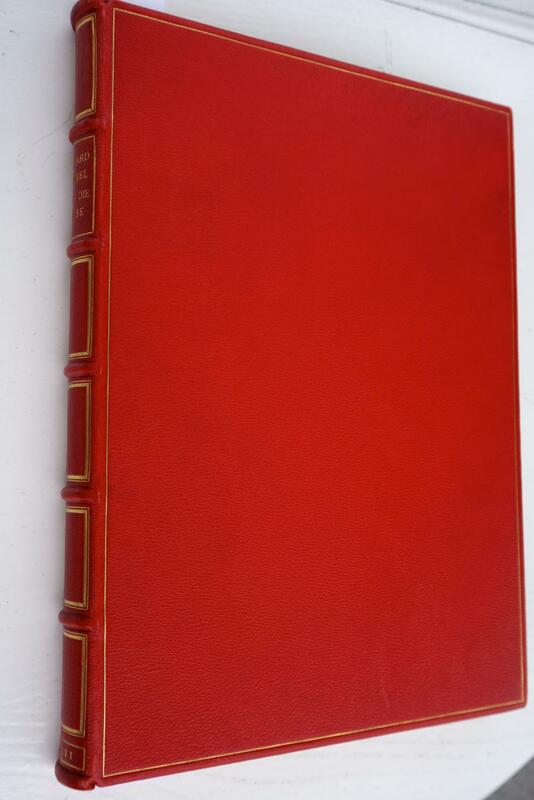 Text & covers in Fine condition. Covers are Like New. Great copy of SCARCE 2- volume set. Has large folding map inside Volume I rear cover. 99% OF OUR BOOKS ARE SHIPPED IN CUSTOM BOXES, WE ALWAYS PACK WITH GREAT CARE! Zeitschrift des Deutschen Palästina-Vereins (KONVOLUT aus 75 Bänden) - Bd. 44 (1921) bis Bd. 68 (1944); 70 (1954) bis 118 (2002). Paris: Editions de la Sirene, 1921. First edition. 12mo, unpaginated. Printed wraps. The first edition of this work of film criticism by the filmmaker and critic best remembered today for his film The Fall of the House of Usher. 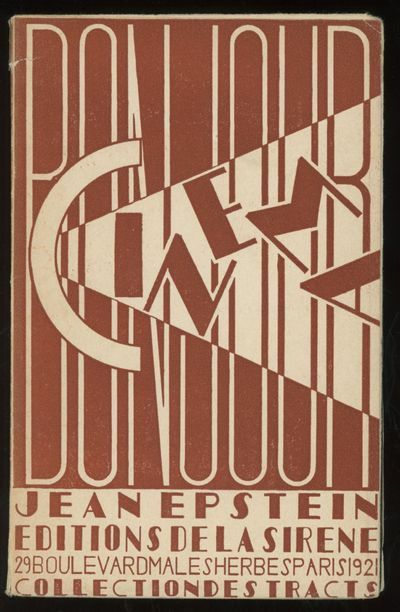 While the importance of the text is widely acknowledged in the history of film criticism, the graphic design of the book by Claude Delbanne - an art deco fantasia on film themes which occasionally verges into concrete poetry - makes it one of the most visually striking film books ever published. Very good or better with a 1/2" closed tear to paper covering the head of spine, which doesn't affect the soundness of the binding. Prokofiev, Sergei. / Glevov, Igor / Padlov, Sergei. Liubov k trem apelsinam. Lyubov k trem apel'sinam. k postanovke opery Sergeya Prokofeva, avtograficheskie danye i stati. Small Octavo. 36 pages, 2nn leaves. Original illustrated brochure. The cover is slightly stained and used. Tiny edition of 1000 copies with an interesting avantgarde design. ref. Dickinson college, Russian M First russian edition of the opera " The Love for Three Oranges, Op. 33, also known by its French language title L'amour des trois oranges. A satirical opera by Sergei Prokofiev.premiered in Chicago, Illinois, in 1921, first in Russian in 1926 ! Signierte Vorzugsausgabe Friedrich Dürrenmatt - Dürrenmatt, Friedrich und Franz Josef (Hrsg.) Görtz. Gesammelte Werke in sieben Bänden. Vorzugsausgabe. Band 1 700 Seiten Band 2 814 Seiten Band 3 669 Seiten Band 4 801 (3) Band 5 552 Seiten Band 6 739 (2) Seiten Band 7 711 Seiten sowie Broschüre mit 64 Seiten. 8, gebundene Ausgabe, Original weinroter Ganzledereinband mit schwarzem Rückenschildchen in Leder und goldgeprägtem Titel ohne Schuber. mit Lesebändchen, auf dem Vorsatz stets Exlibris des Vorbesitzers, die Bände sauber und frisch. Band 1 im Druckvermerk von Dürrenmatt signiert und mit der Nummer 325 (von 333 Exemplaren) nummeriert sowie eine 64seitige Broschüre. Inhalt: Band 1 und Band 2: Stücke Band 3: Stücke und Hörspiele Band 4: Romane Band 5: Erzählungen Band 6: Stoffe, Zusammenhänge, Essays und Gedichte Band 7: Essays und Gedichte. Die dazugehörige 64seitige Broschüre fehlt. Friedrich Reinhold Dürrenmatt (* 5. Januar 1921 in Konolfingen/Schweiz - + 14. Dezember 1990 in Neuenburg/Schweiz) war ein bekannter und bedeutender Schweizer Schriftsteller, Dramatiker und Maler. Dada soulève tout. Dada connait tout. Dada crache tout. Paris. Au Sans Parail 1921. 27,7 x 21,2 cm. Beidseitig bedrucktes Flugblatt auf Maschinenpapier. 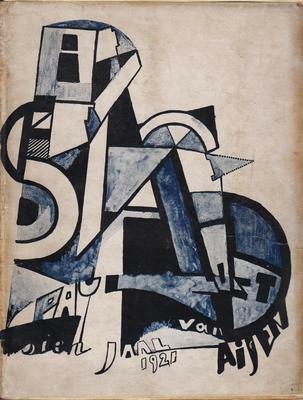 Au Sans Parail, 1921. Originalausgabe. Dadaglobal 234 - Dada Centre Pompidou 1526, mit ganzseitiger Abbildung auf den Seiten 326 und 327. Das Flugblatt ist datiert auf den 12. Januar 1921 und wendet sich gegen jegliche Form von Dogmatismus, wobei die Unterzeichnenden besonders die Futuristen im Auge hatten, die 3 Tage später zu einer grossen eigenen Veranstaltung in Paris aufriefen. Zu den Unterzeichnern gehören u.a. Arp, Baargeld, Crotti, Duchamp, M. Ernst, P. Eluard, J. Evola, R. Huelsenbeck, F. Picabia, M. Ray, Ph. Soupault und Tristan Tzara. Wichtiges und seltenes Dokument der Pariser Dadabewegung. Gutes Exemplar. 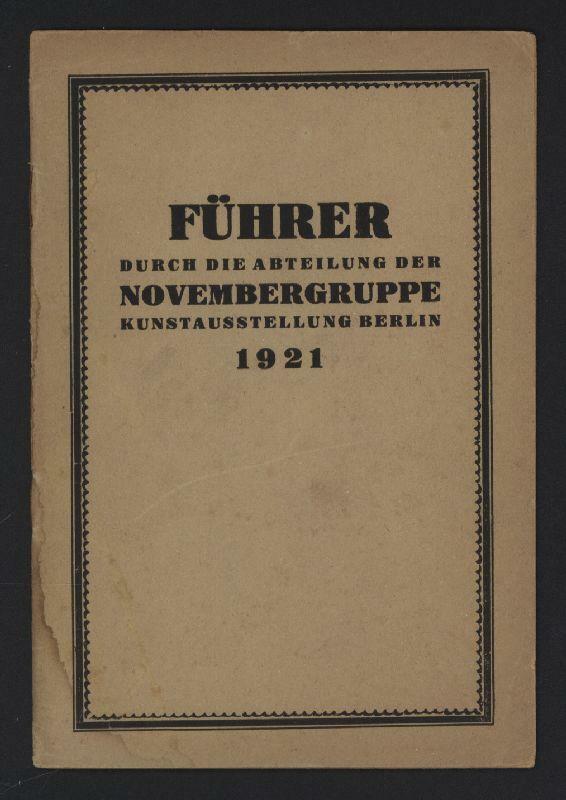 Führer durch die Abteilung der NOVEMBERGRUPPE Kunstausstellung Berlin 1921. Rundgang Saal 25 bis 29; ohne Abbildungen. Berlin, Druck von Otto Elsner Berlin S 42, Oranienstr. 140-142. 1921 - 16,8 x 11,3 cm, 16 Seiten, Anzeigen der Novembergruppe (Veröffentlichungen). Schlichte Original-Klammerheftung, kleiner alter Wasserrand unten links am Rücken (siehe die Abbildung), sonst ein sehr gutes Exemplar dieses fragilen Kataloges. Selten. Perkins 138c. - Kliemann, Helga: Die Novembergruppe, darin Seite 22. - Kliemann Bibliographie Seite 138, II. - Novembergruppe: Künstlervereinigung (Berlin 1919 bis 1935), benannt nach der Novemberrevolution 1918; Gründungsmitglieder: César Klein, Moriz Melzer, Max Pechstein, Heinrich Richter-Berlin, Georg Tappert. Radikal-revolutionäre Künstlergruppe aus dem Umkreis von Herwarth Waldens Zeitschrift DER STURM aus den Bereichen bildende Kunst, Architektur, Literatur und Musik; Unterstützung der sozialen Revolution in Deutschland, Forderung nach Einheit von Kunst und Volk. Aktivitäten: Ausstellungen, Künstlerfeste, Veranstaltungsreihen; Aufruf und Anthologie >An Alle Künstler!<; 1922 Zusammenschluss mit der Dresdner Sezessions Gruppe 1919 und der Gruppe DAS JUNGE RHEINLAND zum Kartell fortschrittlicher Künstlergruppen in Deutschland (zitiert nach Kat. Gesamtkunstwerk Expressionismus, Mathildenhöhe 2010). London: Constable & Company,, 1921. Octavo. Original black cloth, titles gilt to spine and front. With the dust jacket. An extraordinary copy, in fine fresh condition, uncut, and the dust jacket only a little toned at spine and around edges, bearing a small few fleck marks, and a few tiny tears and chips along corners and edges. First edition, first impression, of the author's first book, an uncut copy with an exceptional example of the rare dust jacket. Harold Nicolson (1886-1968) was a diplomat and Bloomsbury author, who had married Vita Sackville-West in 1913 (more an "open" than a "lavender" marriage, since although both Vita and Harold continued to have homosexual relationships with numerous different people throughout their lives, they were also devoted to one another and had two sons). He had served in the foreign office during the First World War (being selected to hand the Germans Britain's declaration of war in 1914), and would go on to have a career in the foreign service and in politics. He was encouraged to write by his wife and this biography of the French poet Paul Verlaine is his first publication - the first of several studies of literary figures including Tennyson, Byron, Swinburne and Sainte-Beuve, as well as a political novel Public Faces (1932). 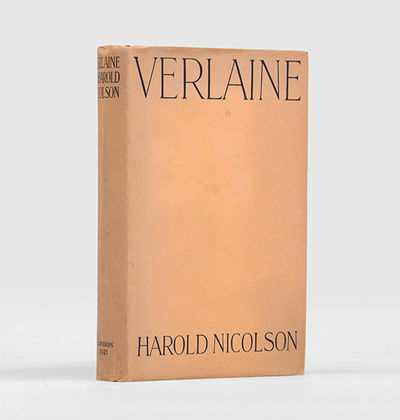 Nicolson's Verlaine is rare in the dust jacket - we have never seen another, and can trace none at auction - this copy is almost untouched, and uncut. Edinburgh: Geo. 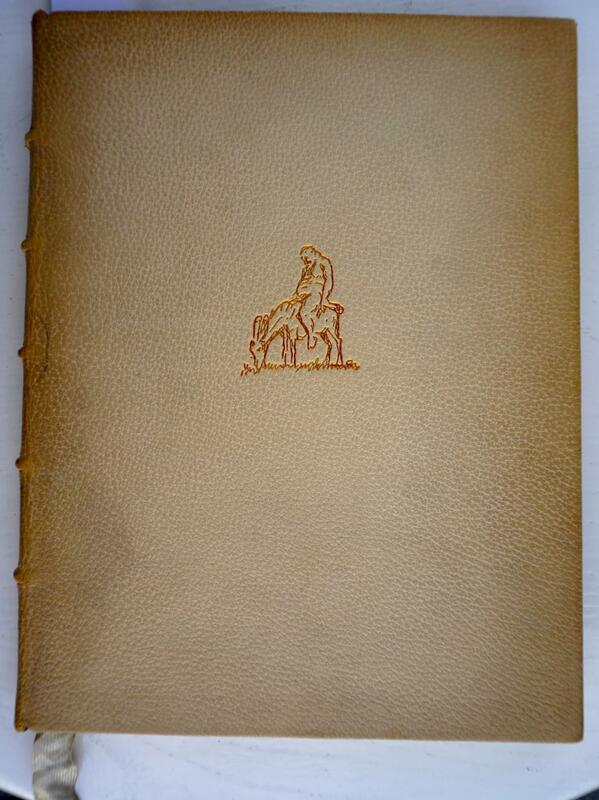 Waterston & Sons Ltd. VG : in very good condition. Some fade and scuffs to covers. 1921. First Edition. Grey hardback boards with black cloth spine and ties. 460mm x 340mm (18" x 13"). 204 plates. 4 portfolios of 204 plates. Volume I: 18 plates; Volume II: 63 plates,; Volume III: 56 plates; Volume IV: 67 plates. Published: 1921 - 1933. Argyllshire: Carrick Castle; Dunstaffnage Chapel; Ayrshire: Crossraguel Abbey; Dumfriesshire: Amsfield Tower; Caerlaverock Castle; Fifeshire: Earlshall; Abedour Church; Haddingtonshire: Fountainhall; Iona: St Mary's Abbey; Kirkudbrightshire: Lincluden College Church; Linlithgowshire: Midhope Castle; Bonhard House; Linlithgow Palace; Lothian: Caroline Park House; Royston Castle; Collegiate Church of Dunglass; Torphichen Church; Pilmuir House; Midlothian: Ford House; Pilrig House; Borthwick Castle; Morayshire: Elgin Cathedral; Perthshire: Elcho Castle; Gowrie House; Stirlingshire: Argyll Lodging; Cowane's Hospital; Cambuskenneth Abbey; Renfrewshire: The Abbey Church of St Mirren, Paisley; Roxburghshire: Jedburgh Abbey; Wigtonshire: Park o' Luce. .
Octavo (204 x 138 mm.) 1 measure from an unidentified technical study, being an 8-note staccato pattern in C major, repeated in C-sharp major, both under one downbow, marked "Presto." On an album leaf. Signed and dated "Liège 30 Mai 1921" in black ink. No compositions by the French violinist Thibaud are recorded. The Spoil Bank Association Limited Cheque Book and Articles of Association. (Ditchling: St. Dominic's Press, 1921). Small oblong quarto. 50ff., consisting of printed checks bearing a wood-engraving titled "S. Joseph and S. Dominica in Vesica" by David Jones. The Spoil Bank Association was established at Ditchling in order to hold the land and manage the money of the Guild of S. Joseph & S. Dominic in the early days of the community at Ditchling. The name is derived from a strip mining term, which refers to the pile of refuse created by the excavation of earth materials on a mining site, undoubtedly intentional, given the anti-capitalist views of Gill and Pepler. While documents referencing the Spoil Bank Association have occasionally surfaced, only one endorsed check is recorded, and this is held at Notre Dame. Taylor & Sewell note that Barclay's Bank "refused to cash or negotiate these cheques." It is believed that no more than 100 checks were printed, making this complete and unused checkbook, which contains check numbers B1 - B50, of the utmost rarity. The book retains its plain gray wrappers, and apart from a mild crease down the center, it is about fine. Together with the Memorandum and Articles of Association for the Spoil Bank Association, registered on November 9, 1921. Broadside, folded in eighths. 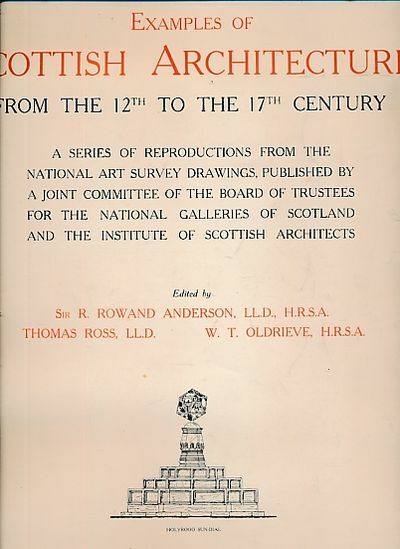 In addition to laying out the founding guidelines of the Association, this document lists the initial subscribers and appoitns Eric Gill, Herbert Joseph Cribb, and Hilary Pepler the first Directors. Fine. (Cleverdon 81; Taylor & Sewell A95). PYLE, Howard (illustrator). Merle JOHNSON (compiler). Howard Pyle's Book of Pirates. Folio. Original black cloth-backed buff boards lettered in black with a large onlaid pictorial label to upper cover, pictorial endpapers; pp. [xviii]246[i]; with 12 full-page coloured plates (including frontis) and 2 smaller tipped-in coloured images, together with 14 full-page black-and-white plates and 1 smaller tipped-in monochrome image; drawings throughout in line decorating the text; spine cloth a little rubbed at head and tail, a little rubbing to corners otherwise a very good copy in the scarce pictorial dust wrapper. The wrapper has a little chipping to head of spine otherwise is near fine. 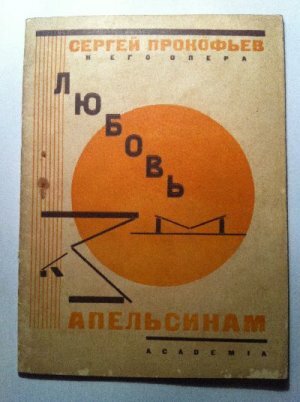 First edition, first issue with the copyright code "D-V". Rarely found with the dust wrapper. - "Laugh it off! ": Oblong octavo (272 x 176 mm). Bifolium. Notated in black ink on 10-stave paper with blindstamp of Lard-Esnault, Bellamy, Paris. [i] (title with signature and date: October 16-23, 1921), 2, [i] (blank) pp. In 5-stave systems: one for solo voice ("Mezzo Soprano o[u] Baryton"), one for chorus (up to 4 parts but no voices specified; G clef throughout), one blank, and two for piano ("ad libitum"). Part labels and tempo in French; titling and text underlay (2 strophes) in English. Text credited to Henry Rutherford Eliot [!Elliot]. Dedication: "To the dearest friend Walter Damrosch." - The Manger Song of Mary: Oblong octavo (272 x 176 mm). Bifolium. Notated in black ink on 10-stave paper with blindstamp of Lard-Esnault, Bellamy, Paris. [i] (title with signature and date: October 16-23, 1921), 2, [i] (blank) pp. In 4-stave systems: one for solo voice ("contralto"), one blank, and two for piano ("ad libitum"). Text (4 strophes) and all literals in English. Text credited to Edwin Markham. Dedication: "To Mistress Mabel Montgomery Tuttle." Both manuscripts slightly browned; creased; slight loss to lower outer corner of first leaf, not affecting music. - "Laugh it off" [no exclamation point]: Folio (346 x 267 mm). Bifolium. 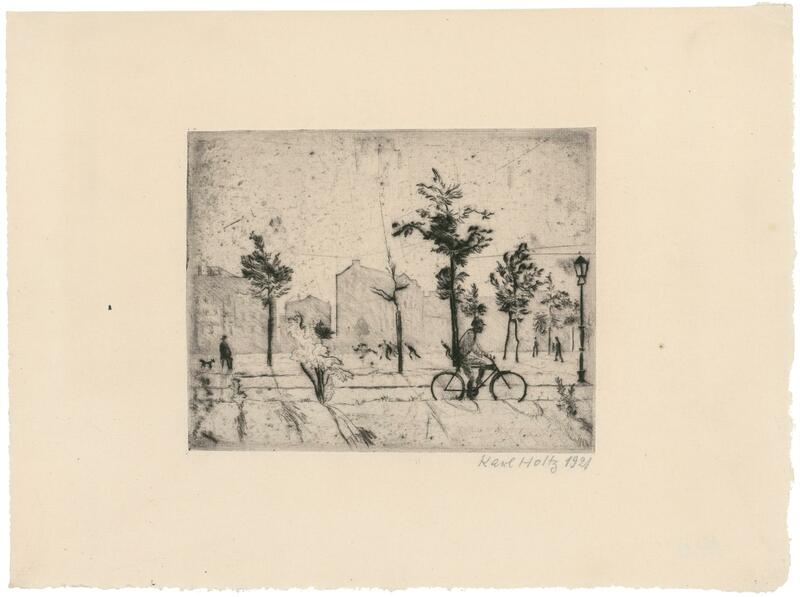 Notated in black ink on 10-stave paper, "Melodie Trademark No. 0." 4 pp. No date. Some bleeding. Frayed at edges, with slight loss, not affecting music. Copyright forms of the Société des Auteurs, Compositeur et Editeurs de Musique (SACEM; French authors' rights society) and cover letter from the Symphony Society of New York to J. T. Roach of the publisher Hinds, Hayden & Eldredge, New York. 1 page. August 2, 1923. On letterhead, typed and signed by the society's manager, George Engles. Engles asks Roach to have the papers signed by the poets. Two typed letters from Walter Damrosch's office to [J.T.] Roach. Oblong octavo. On stationery with Damrosch's letterhead and signed, "Lillian Day[?]." The first, dated January 3, 1921, is the cover letter to a "corrected copy of M. Widor's song Le Chene du souvenir" (the song is not present). The second, dated November 14, 1921, inquires about royalties Damrosch sent to Camille Saint-Saëns and Ralph Vaughan Williams; the writer wants to adjust Damrosch's French bank account; bank receipt (Morgan, Harjes & Co, Paris), dated July 8, 1921, is attached. Unrecorded and presumably unpublished. The texts are by Henry Rutherford Elliot (1849-1906), a journalist in New York, and Edwin Markham (1852-1940), an American poet. "Laugh it off!" is a humorous song in a popular style; The Manger Song of Mary is a lullaby in a more sophisticated style. The correspondence suggests that both of Vidal's songs were slated for publication by Hinds, Hayden & Eldredge in 1923; the scribal copies were most likely intended as engraver's copies. One of the poets (Elliot), however, was no longer alive; there are no materials in the present collection mentioning his heirs. In any case, the SACEM forms (also Markham's) remained unsigned. The publication stalled, and the songs were apparently never published. A French conductor, teacher and composer, " Vidal is particularly remembered as a fine teacher who was sympathetic to new ideas. At the Paris Conservatoire he taught classes in solfège (from 1894), piano accompaniment (from 1896) and composition (from 1909)... Vidal's most successful compositions were the ballet La maladetta (1893), which had been performed nearly 200 times by 1930, and the light opera Eros." David Charlton in Grove Music Online. 2 pp. Octavo. Dated Torre del Lago, May 20, 21, 11:00 p.m. On stationery with "Torre del Lago Toscana" embossed at head. Incomplete. With autograph envelope postmarked Torre de Lago, May 21, 1921 with Ader's name and Hamburg address. Puccini laments his inability to be near Ader; he cannot go to her without causing a great scandal. He works all day. Only his thoughts of her give him comfort; he kisses her portrait and writes music - presumably his opera, Turandot. "This Turandot is so difficult! Liù is coming along well - it is for you that I am writing it (as I have already told you)..."
2 pp. Octavo. Dated Torre de Lago, Sunday, May 22, 21, midnight. On stationery with "Torre del Lago Toscana" embossed at head. Puccini speaks of seeing Ader in nearby Viareggio, then Milan, but absolutely cannot leave. She should never doubt that, if he could, he would "fly" to her. He tells her not to grieve for him. He is not badly off in his own home, but does not have the freedom he would like. He will write to her if he finds that he must go to Berlin in the autumn. Puccini goes on to discuss several of his compositions: his operatic trilogy, Il Trittico, La Bohème, and Turandot, upon which he is still hard at work. "I received a telegram from Leipzig, where Il Trittico has had great success. [Otto] Lohse conducted Tabarro (Mantel) and Schicchi. Fine director... I am working a lot on Turandot. I read that Busoni's [Turandot] was given in Berlin. I am very pleased with my work. It is you, and my love for you, that encourages me to do well. We hope!... I wish you good luck for [your performance as] Mimi on the 30th. You will be delicious!" 2 pp. Octavo. Dated Torre del Lago, June 6, 21. On stationery with "Torre del Lago Toscana" embossed at head. With autograph envelope postmarked Torre del Lago, June 7, 21 with Ader's name and Hamburg address. Puccini has not heard from Ader in two days, but that may be because of a postal strike. He misses her letters; his day is wasted if he does not hear from her. He keeps her photographs in a book between other books near his work table so he can look at them whenever he wants. He especially likes the picture of her as Mimi, and another large one with a veil, which he has cut down to a smaller size. He kisses them many times. He complains of how difficult Turandot is. The previous day was bad, and he couldn't do anything good. Today, things are going better. So is his life, with high and low moments, even with regard to his health. Perhaps he is working too hard; he hardly ever moves, unless it is in an automobile. He concludes with love. "I love you! I kiss your beautiful and savory mouth!" 2 pp. Octavo. Dated Torre del Lago, September 22, 1921. On stationery with "Torre del Lago Toscana" embossed at head. That morning Puccini felt badly seeing Ader so discouraged and sad. He does not know what to do to make her happy, and grieves over it. She knew his circumstances; he told her everything about himself and hid nothing. He wishes he could surround her with so much care and attention, and give her everything himself, but it is impossible. He leaves her free to decide - not to worry if he suffers. He will suffer whatever sorrow there is for her. He cannot stand knowing her discontented, and does not want her to live a life that she cannot stand. "My life is shattered without you. I already hold you in my heart. You are my last love and the only consolation in my life. But to see you so dissatisfied and sad grieves me and I can sacrifice myself to let you go. But even when [you are] far away, I will not cease to love you - and until death... I adore you and will always adore you, that is certain. Farewell, I kiss your sweetest mouth." 2 pp. Quarto. Dated Mercaldi, October 19, 1921. Puccini has received two letters from Ader. They were well written, and he understood everything. He had telegraphed her that he was leaving the following day, but instead he will leave on Friday. He hopes to find her letters at the Teatro Comunale. Schnabl has written from Vienna, and will come to Bologna. Puccini himself is very sad because he will not be alone in Bologna. They will go to Rome and then afterwards he will come to Milan in order not to move again. He thinks that his wife is trying to prevent him from being with her. He is going to try to have [Giuseppe] Adami help him see her. He understands that her studies with Bettinelli are going well. He concludes with many loving remarks. "...I curse my life, because it is my Rose I would like near!...You are my poetry, and I adore you, and I would like to see you always and kiss your mouth, so beautiful, fresh, adorable! And instead I am so far away! But there will come a time, I hope, when I can be happy with you? The Mrs. ["Frau"] has never mentioned you, but I know she thinks a lot about this love of mine. I have not been bothered, but I feel that The Mrs. thinks about it, and is going to Bologna so that I don't go with you. It is a little hidden battle. But my Muckili is in my heart and no one can take her away!..." 2 pp. Quarto. Dated Milan, February [? ]1, 22. On stationery with Via Verdi 4, Milano address embossed at head. With original autograph envelope postmarked Milan, February 2, 1922 with Ader's name and St. Moritz (Switzerland) address. 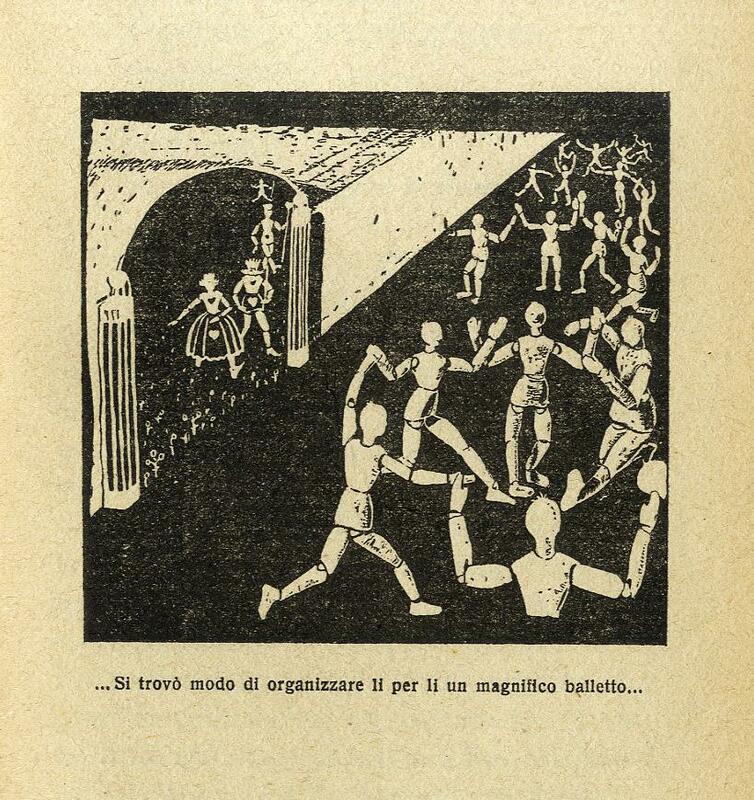 Puccini reports that, after a thousand difficulties, Il Trittico has been produced. On the first night, the public was a little cold, but was better on the second. The audience at La Scala is terrible. In Rome he has also had great success with Gilda. He asks why he has not heard any news from her. He was unable to write because he was not well and then he spent the whole day at La Scala. He is a little tired and would like to be in Viareggio where there is sun and quiet. He is sad, and misses her very much. He expresses his love. "...My soul is full of sadness because of you - not through your fault, my poor, sweet one, but because I don't have you and cannot have you as I would like - always with me, or at least nearby, in order to tell you everything in my soul and to find in you that consolation that I need so much! But the world and destiny are against me..."
2 pp. Small quarto. Dated Milan, February 4, 22. On note card with "Ente Autonomo del Teatro alla Scala" printed at head. With original autograph envelope postmarked Milan, February 4, 1922 with Ader's name and St. Moritz address. Puccini has telegraphed both Hamburg and St. Moritz, but has heard nothing from Ader in several days. He is perplexed. He plans to go to Viareggio towards the fourteenth or fifteenth of the month because he does not feel well in Milan. On the twenty-first he must be in Rome for eight days. [Riccardo] Redaelli found her a very clean pension, which, however, did not have any room. He will have something for her when she arrives. Il Trittico went well at La Scala, Suor Angelica not so well with a soprano from Bologna. He sends kisses. "...Where have you been? O mysterious woman! And what have you done in Berlin? Whom have you seen?... It would be better if you came towards the thirteenth or fourteenth - then [we can be] together [in] Rome, Muckili. Think about it. I want to see you very much, but I am a little perplexed because[?] you [are] mysterious!..." 2 pp. Quarto. Dated Viareggio, Lunedi [?February] 1922. On stationery with "Viareggio Via Buonarroti" embossed at head. Puccini has just received Ader's two letters. He asks her whether she has seen Ortlieb and whether he mentioned Puccini. He sent telegraphs to Maestro Paolantonio and to Valcarenghi. Hoping to feel better, he took a purge that morning, but feels immensely sad instead. On Saturday his wife, Elvira, and his son, Tonio, will arrive, so Ader should write to Viareggio, post restante. It annoys him that they are coming. He would have wished to have seen her without them there, but patience, always patience. She is in the middle of the festivities and the automobile races. His is mailing this letter registered. He reports that Redaelli has left for Milan. The weather is as gloomy as his own spirits. He laments life without her. He sends kisses. "I don't know what to tell you today! I am not well and I no longer have faith in myself, nor hope in anything. I feel that I am losing you. Life without you is very sad for me. It is as though everything were finished. It would have been better if I had never known you - yes, better for you and for me. But you are young and will have a good life, whereas for me, it will be the opposite... My sky is full of dark clouds! Even Turandot gives me no comfort!..." 2 pp. Quarto. Dated Viareggio, July 10, 22. On stationery with "Viareggio Via Buonarroti" embossed at head. With original autograph envelope postmarked Viareggio, July 10, 22 with Ader's name and Salzburg address. Puccini has seen [Giulio] Gatti-Casazza, whom Ader met in Vienna, and was unable to obtain anything for her. Gatti-Casazza has no openings for lyric singers, and there much competition among Americans. He very much wishes he could have been of service to her. He has received her letter, and read of her success in Budapest. He was very happy for her. He asks if she no longer goes to the Seeligmans, and for news about an Italian baron (probably Ader's future husband), whom she should not trust. He does not work because he does not feel like it. He has received the third act (presumably of Turandot), but it is still not good. Adami will come soon, and they will correct it. He begs Ader to write to him. She may send her letters to his house, because no one will read them. "...And what news is there of the Italian baron? I would not put too much trust in a man from the South. Be careful!... I think a lot about beautiful times gone by! My Muckili is so far away and life is difficult for us! Then, the usual word: I am old! Truly I am. There are many people here, but they all mean nothing to me. Winter is better. I often see [Angiolino?] Magrini and a few others - no women..."
2 pp. Quarto. Dated July 23, 22. On stationery with "Viareggio Via Buonarroti" embossed at head. With original autograph envelope postmarked Viareggio, July 24, 22 with Ader's name and Salzburg address. Minor tearing, soiling, and wear; annotations in pencil to upper panel. Puccini has just gotten out of bed; he has been sick with a fever for several days, and feels very weak. He has received all of Ader's letters. If he feels better, he, his son, and Magrini will drive to the Dolomites, then to Munich, and perhaps to Holland. If he is well enough to make the trip, it would be toward the fifteenth or twentieth of August. He has not worked any more on Turandot. He tells Ader that if she wants to be a coloratura, she must have courage. He congratulates her because he knows she has the tenacity and desire to become one. He begs her for news. In a postscript he adds that he has sent her a copy of Madama Butterfly in Italian. "...I have not worked on Turandot any more. I don't feel like it; I don't feel like doing anything. I think that my life is no longer what is was. I am a little sad and also resigned to my destiny. I have a dry heart. I think, though, about all our matters with pleasure and even with nostalgia. If you had been near me I would have had some consolation. But your future with me would have been dangerous..."
2 pp. Quarto. Dated Catigliano, August 9, 22. On stationery with "Viareggio Via Buonarroti" embossed at head. With original autograph envelope postmarked Catigliano, August 9, 22 with Ader's name and Westerland address. Annotations in German ("Miramar House unknown"). Puccini is staying with Magrini. It was too hot in Viareggio, and there were too many people there. He will, however, return to Viareggio the next day to prepare for his automobile trip. They will probably leave around the fifteenth, and will go to the Dolomites, then to Oberamergau, Munich, and the Black Forest. They propose to arrive in Holland. He is much better since his illness; the last few days in the mountains have done him good. Madame Vezsi wrote him a very kind letter from Berlin. He may be in Munich on August twenty-second, but he does not think they will stay at the Regina because it is too expensive. There are four Magrini people accompanying him on the voyage. He asks for news from her, and sends greetings to Dr. and Mrs. Tony[?]. Puccini also mentions Turandot (which remains unfinished), Manon Lescaut, and Suor Angelica; as well as a disagreement with the publisher Giulio Ricordi regarding a foxtrot (based upon the humming chorus from Madama Butterfly) which had been illegally published by Ricordi's New York branch. "...I always think of my dear and sweet Muckilina with nostalgia... Gilda [Dalla Rizza] wrote me from Buenos Aires that she sang Suor Angelica. Toscanini will give Manon at La Scala this winter. In a few days, I will sign the contract with Ricordi for Turandot, and I think we will reach an agreement on the subject of the Butterfly foxtrot... And what news of yourself? The Baron?... How sweet was Muckilina's mouth! With whom are you in Westerland? With the Seeligmans?..." 2 pp. of a bifolium. Octavo. Dated Vienna, May 19, 23. On stationery with the name and emblem of the Hotel Bristol in Vienna printed at head. Manon has been postponed until September, and so Puccini has made his trip for nothing. In three or four days he will return to Viareggio. He thanks her for her letter. He also mentions Turandot, which he still has not completed, and the Austrian composer Erich Korngold. He sends his affectionate greetings. "...To see your handwriting again gave me joy and made me very melancholy[?]. I hope that you are happy. I am returning to my little house in Viareggio to complete the eternal Turandot. I finally have the third act, which is very beautiful. I have seen Maestro Korngold many times, who is a good and fine person. We have even spoken about you..."
2 pp. Ca. 89 x 138 mm. Dated Viareggio, September 11, 1924. On a notecard with Puccini's name printed at head. With original autograph envelope postmarked Viareggio and Forte dei Marmi, September 11, 24 with Ader's married name ("Gentilissima Signora Baronessa Rosa Trigona") and address. Puccini asks Ader, now married, to forgive him for having shown no signs of life. He complains of a sore throat - surely a symptom of the throat cancer that precipitated his death less than three months later. The upcoming première of Turandot impels him to work. He sends affectionate greetings to Ader and her husband, Baron Trigona. "...I have not been well, and at present my sore throat is bothering me. I must set to work assiduously because in April I will give Turandot at La Scala, and I must finish the opera! I hope that my health improves..." All in Italian (with translations) except for letter no. 4 which is in both Italian and German. All in black or blue ink except for letter no. 2, which is in pencil. Signed variously "Giacomo," "G.P." "G. Puccini," "Muckilissimo," etc., and addressed variously "My good Rose," "My dear Rose," "To my sweet Rose," "My Rose," "My Muckili," etc. With minor defects including occasional wear, soiling, foxing, browning, small tears, etc. In very good condition overall. Rose Ader (1890-1955) made her début at the Hamburg Opera in 1915. She sang at opera houses in Germany, Austria, France, the Netherlands, and Italy, including the Vienna Staatsoper and the La Scala. In 1921 she sang the title role in the German première of Puccini's Suor Angelica in Hamburg, and in La Bohème at the Teatro Costanzi in Rome in 1922. Her repertory included both coloratura and lyric roles. Following her marriage to an Italian baron, she sang under the name Ader-de Trigona. Ader's Jewish heritage forced her to emigrate to Austria in 1933, and then to Italy. In 1949, she settled in Buenos Aires, where she spent her final years as a pedagogue. The Works of Joseph Conrad. Including: Almayer's Folly, Tales of Unrest, Typhoon, Nostromo, Lord Jim, An Outcast of the Islands, The Secret Agent, Under Western Eyes, Chance, Allmayer's Folly, Victory, The Rescue, The Inheritors, Romance, The Mirror of the Sea, The Arrow of Gold, The Shadow Line, etc. London: William Heinemann, 1921. SIGNED LIMITED EDITION. 20 volumes. Octavo. Edition Limited to 780 sets of which this is No. 541, SIGNED by the author. Handsomely bound in half dark blue oasis morocco with gilt titles and gilt raised bands to spines, blue cloth boards, untrimmed edges, top edge gilt. Internally clean; exterior unmarked. 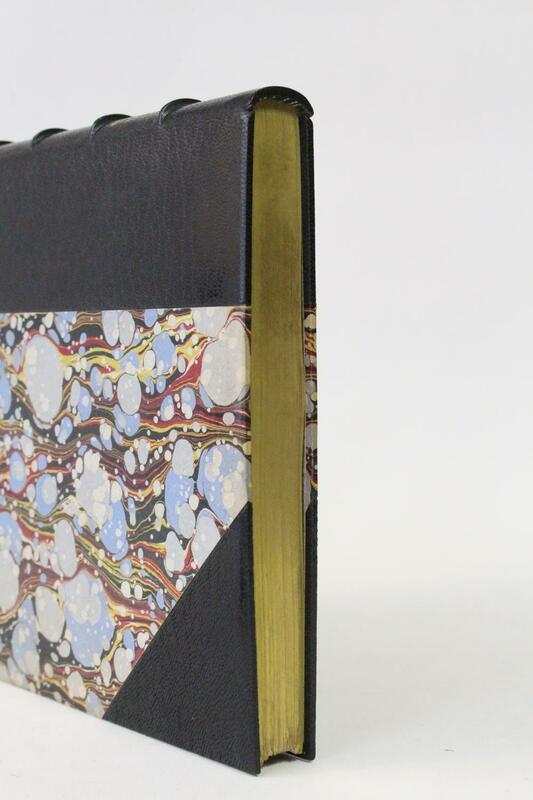 A fine set in an attractive recent leather binding. Erster Weltkrieg. - Photographie. - Photoalben. - Tagebücher. - Handschriften. - Kiel. In Liebe und treuem Gedenken für Heinrich Bruns stud. Iur. Oberjäger im Res.Jäger Batl. 15 (Zur Verleihung des Eisernen Kreuzes vorgeschlagen). Am 1. Juli 1916 in Galizien durch Artillerietreffer auf dem Felde der Ehre gefallen. Photographienalbum mit handgeschriebener Biographie zu Heinrich Bruns Leben vom Vater, der Mutter und dem Bruder verfasst. Bezette stad. (Omslag en houtsneden van Oskar JESPERS). - Antwerpen, Het Sienjaal, 1921. Ingenaaid. Gedrukt naar typografische aanwijzingen van Oscar Jespers en René Victor in een oplage van 540 genummerde exemplaren. 1e druk. Ongenummerd exemplaar. Exlibris (van Hendrik Bulterys) op Franse titel. * Degelijk, professioneel gerestaureerd exemplaar van de belangrijkste exponent van de avantgarde in het Nederlandse taalgebied! Het omslag (als altijd wat vuil) is ter versteviging gedoubleerd met Japans papier. De onvermijdelijke breukjes in de rug zijn geplakt en soms aangezet, enkele fragmentjes op de rug ontbreken. - Nrf, Paris 1921, 16,5x21,5cm, relié. - Prima edizione della traduzione francese. Binding metà marocco blu navy con gli angoli, di nuovo con cinque nervi, piatti di carta data coda in marmo dorato, guardie e contreplats di carta fatta a mano, coperte e schienali conservati, testa dorata, ex libris incollato su un contreplat, legatoria firmato Alix. Nizza copia piacevolmente stabilito. - [FRENCH VERSION FOLLOWS] Edition originale de la traduction française, un des 108 exemplaires numérotés sur vergé pur fil Lafuma-Navarre et réimposés dans le format in-quarto tellière, notre exemplaire imprimé spécialement pour André Suarès, tirage de tête. Reliure en demi maroquin bleu marine à coins, dos à cinq nerfs, date dorée en queue, plats de papier marbré, gardes et contreplats de papier à la cuve, couvertures et dos conservés, tête dorée, ex-libris encollé sur un contreplat, reliure signée d'Alix. Bel exemplaire agréablement établi. Richard Strauss und sein Werk. 2 Bände. Aus meiner Dienstzeit, 1906-1918. Erster Band up to the Fünfter Band in 7 volumes. Wien/Berlin/Leipzig/München: Rikola 1921. 5 parts in 7 vols. Large 8vo (23,5 x 16,5 cm). Original half cloth. Complete set of the 5 volumes and the 2 original map-slipcases with all folding maps and plates. Including several indices. 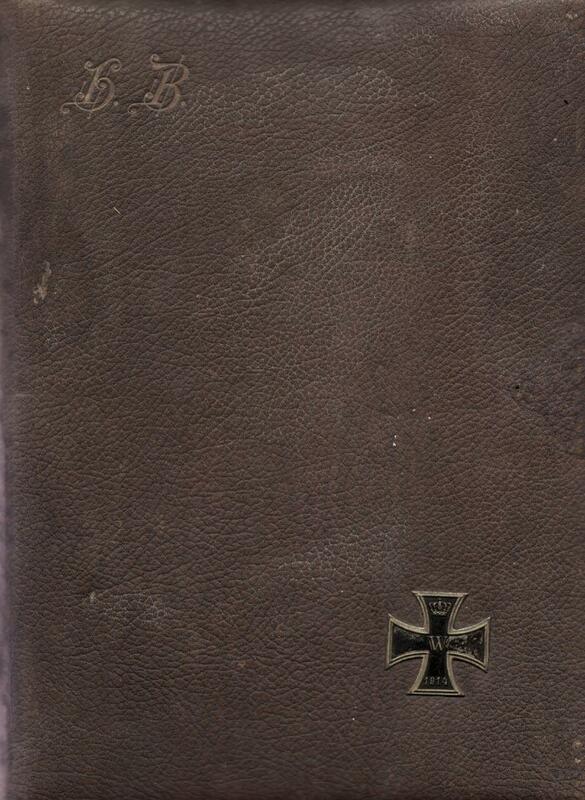 Important work on the First World War by the Austrian Field Marshal and Chief of the General Staff of the armed forces of the Austro-Hungarian Army Franz Conrad von Hötzendorf [1852-1925]. Some minor shelf-wear to edges original bindings & slipcases. Boards first two volumes with some wear. No names, inscriptions, stamps etc. All maps original and in fine condition. For a full description and more images please visit www.zaalbooks.nl . 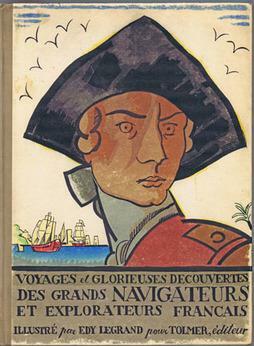 Voyages Glorieuses Decouvertes des Grands Navigateurs & Explorateurs Francais. Die Bäder von Lucca. Mit 7 ganzseitigen Radierungen von Martin E. Philipp. Paris: Imprimerie-Librairie Militaire Universelle, L. Fournier, 1921. First Edition. Wraps. Near Fine. First Edition. 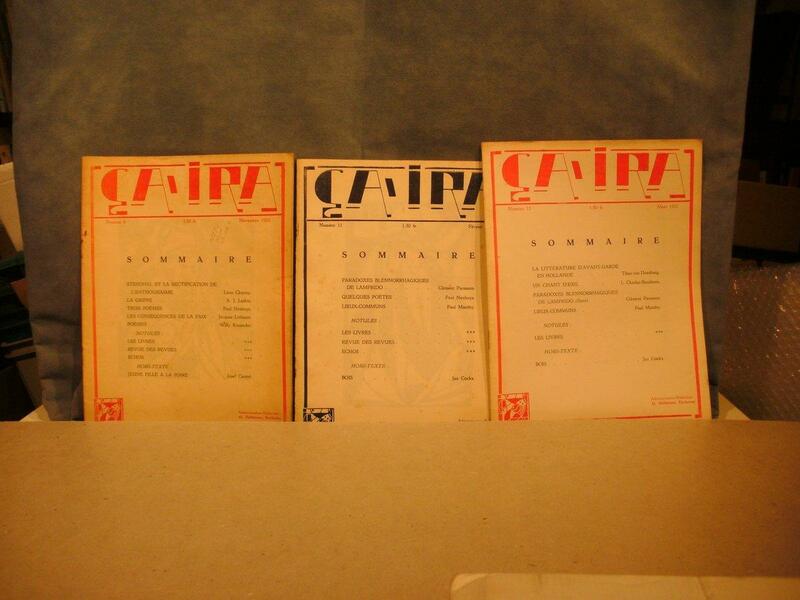 Publication No 22 (English): 87 pages; WITH Publication No 22 (French): 91 pages. Together 2 volumes. Lacks the rare English and French 8 page appendix inserts. Publisher's stiff tan wrappers with black printed front cover duplicating title page. Hinges reinforced with white linen tape (as issued). 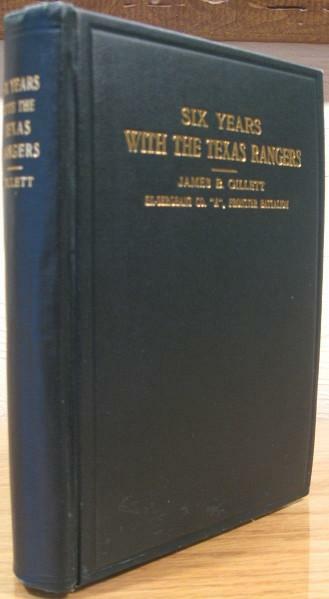 Self wraps, printed titles in black on front cover. 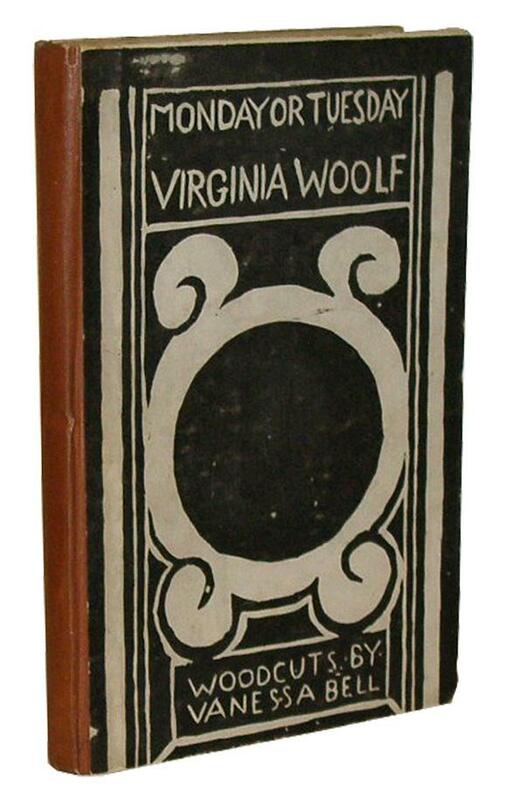 Clean copies with a touch of wear and edgewear, and minor browning to the extremities.. English edition has slanted spine and a few several small smudges. Wraps. A restricted publication not available to the public at the time of issue, it appears in a few institutional collections, but is rarely found on the market. 'Riverbank Publication No. 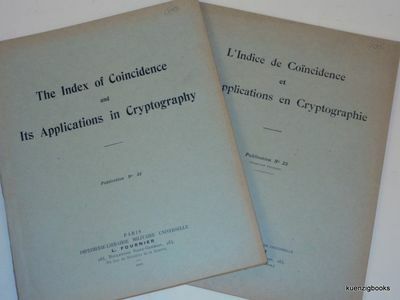 22, written in 1920 when Friedman was 28, must be regarded as the MOST IMPORTANT SINGLE PUBLICATION IN CRYPTOLOGY. It took the science into a new world...it described the solution of two complicated cipher systems. Friedman however, was less interested in proving their vulnerability than he was in using them as a vehicle for new methods of cryptanalysis. Fabyan had the pamphlet printed in France in 1922 to save money. General Cartier saw it and thought so highly of it that he had it translated and published forthwith - false-dating it "1921" to make it appear as if the French work had come first! In it, Friedman devised two new techniques. One was brilliant. It permitted him to reconstruct a primary cipher alphabet without having to quess at a single plainletter text. But the other was profound. For the first time in cryptology, Friedman treated a frequency distribution as an entity, as a curve whose several points were causally related, not as just a collection of individual letters that happen to stand in a certain order for noncausal (historical) reasons, and to this curve he applied statistical concepts. The results can only be described as Promethean, for Friedman's stroke of genius inspired the numerous, varied, and vital statistical tools that are indispensable to the cryptology of today. ... This is why Friedman has said, in looking back over his career, that The Index of Coincidence was his greatest single creation. It alone would have won him his reputation. But in fact it was only the beginning.' (Kahn) Authorship attribution from Galland. Galland also notes 'This work bears imprint 1922, but antedates the French translation noted below ; reprinted later but also with imprint 1922. The study was completed in 1920.' Galland also notes Riverbank Laboratories as the imprint - we've chosen to note the imprint as it appears on the actual item. See J.S. Galland, An Historical and Analytical Bibliography of Cryptology, page 68. See also Kahn, The CodeBreakers, 1996, p376-384, Shulman, An Annotated Bibliography of Cryptography, 1976, pp 84-5 (noting that the French translation was by General Cartier rather than arranged by him, and noting that both were printed in Paris by Col. Fabyan as anonymous publications).